Black Britons as well as Asian and other minority ethnic (BAME) workers with degrees are two and half times more likely to be unemployed than white graduates, according to a new study published by the Trade Union Congress (TUC). The analysis of this statistics shows that the unemployment rate for white workers with degrees is 2.3 percent. However, for BAME graduates this rises to 5.9 percent. 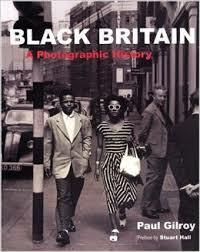 The report reveals that at every level of education, jobless rates are much higher for Black Britons. It says that BAME workers with A-level equivalents including trade apprenticeships and vocations are more than thrice more likely to be unemployed than their white counterparts. And BAME workers with GCSE equivalents and basic level qualifications are more than twice as likely to be out of work. The findings come after TUC analysis revealed that black workers with degrees are paid nearly a quarter less than their white peers – the equivalent of £4.33 an hour. Employment rights activists say the UK government needs to recognise the magnitude of the problem and that Britain needs to develop a race strategy that targets government departments as well as the private sector. Employers, they suggest, need to monitor the recruitment and promotional process for discrimination against BAME applicant. Commenting on the findings, TUC General Secretary Frances O’Grady said that the harsh reality is that even now black and Asian people, regardless of their qualifications and experience, are far more likely to be unemployed and lower paid than white people. “Whether they have PhDs or GCSEs, BAME workers have a much tougher time in the jobs market,” she said. “Not only is this wrong, but it is a huge waste of talent. Companies that only recruit from a narrow base are missing out on the wide range of experiences on offer from Britain’s many different communities.